"The International Astronautical Congress (IAC) is the largest space-related conference worldwide and selects an average of 1000 scientific papers every year. The IAC is organized by the International Astronautical Federation (IAF), the International Academy of Astronautics (IAA), and the International Institute of Space Law (IISL). In 2012, the IAC will be held in Naples, Italy, October 1-5, 2012. The IAC has posted a "Call for Abstracts," with a submission deadline of February 29, 2012 (14:00 CET). NASA plans to also announce a "Call for Abstracts" inviting graduate students to submit abstracts (of no more than 400 words) to participate in the 63rd International Astronautical Congress. Abstracts must be submitted to NASA and to the IAF. The selected NASA sponsored students are required to also be selected by the IAF." "As part of the TED Prize Wish made by renowned astronomer Jill Tarter, the TED Prize today launches SETI Live (setilive.org): a site where - for the first time - the public can view data being collected by radio telescopes and collectively help search for intelligent life on other planets. TED, the nonprofit dedicated to Ideas Worth Spreading, established the TED Prize in 2005, born out of a vision by the world's leading entrepreneurs, innovators, and entertainers to turn ideas into action one Wish at a time. SETI Live was created in collaboration with Zooniverse team at Chicago's Adler Planetarium and is the latest development of Dr. Tarter's 2009 TED Prize wish, "to empower Earthlings everywhere to become active participants in the ultimate search for cosmic company." "University faculty and students are invited to join a weeklong workshop June 16-21 to learn how to build and launch a scientific experiment to space. Registration is open through May 1. RockOn! 2012 will be held at NASA's Wallops Flight Facility on the Eastern Shore of Virginia. The annual workshop is held in partnership with the Colorado and Virginia Space Grant Consortia. 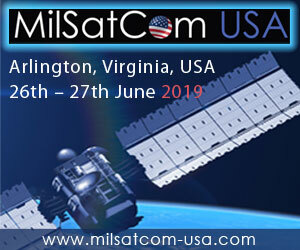 "This workshop provides an opportunity for participants to learn how to build an experiment for space flight," said Phil Eberspeaker, chief of the sounding rocket program office at Wallops. "The hope is this experience will encourage them to participate in more ambitious payload programs, including someday building instruments for orbital spacecraft and beyond." "The Montana State University satellite that rode into space on a NASA rocket has now gathered information longer than the historic U.S. satellite it was built to honor, says the director of MSU's Space Science and Engineering Laboratory (SSEL). Almost four months after the Oct. 28 launch and shortly after learning that NASA selected another MSU satellite for possible launch on a NASA rocket next year, SSEL Director David Klumpar cheered as he suddenly realized that Montana's only satellite had collected data for 111 days as of Feb. 15. Since then, the satellite has well surpassed the entire 111-day mission of its history-making predecessor, Explorer-1, the first successful U.S. satellite." "Members of a student club at Rensselaer Polytechnic Institute have created a unique 360-degree video chronicling a weather balloon's 89,777-foot ascent into space. The Rensselaer Students for the Exploration and Development of Space (SEDS) club launched their high-atmosphere balloon in late January. 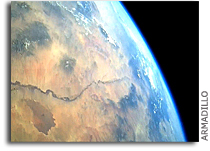 Filled with condensed helium, the balloon carried a payload of three high-definition video cameras and GPS equipment. SEDS members retrieved the payload--which was carefully designed to withstand a significant impact--after the balloon popped at its peak altitude and fell to the Earth's surface. All three video cameras were intact, and club members "stitched together" footage from the three perspectives into a single 360-degree video." New technologies are making it easier than ever to turn an idea into a reality. 3D printers, open-source software, hackable products, and collaborative communities have turned traditional tinkering into a full-scale "maker movement" that allows - and encourages - everyone to tap into their inner entrepreneur. Can this movement usher in a new age of innovation? Will hackers have a profound impact on the economy? And if so, are we prepared for it? Wednesday, February 29, 2012 - 12:15pm - 5:00pm. More information. L5 Release Trailer from Studio Hemogoblin on Vimeo. "Imagine returning from an exhausting adventure only to find that your home is abandoned, empty. Not just your home, but your neighborhood, your city, in fact, everyone, everywhere, seems to be missing. This is what happens to the crew of the first manned mission to Barnard's Star -- they return after awakening from suspended animation to find that their ship-board AI has sent them on a relativistic tour of the stellar neighborhood while they slumbered, dilating time so severely that nearly 200 years have passed on Earth. After coming to, they discover their vessel is adrift at LaGrange point 5, within visual range of a vast O'neill cylinder-colony." More. "Clyde Space has been awarded funding for two advanced space technology development projects. The projects are joint developments; the first with the Advanced Space Concepts Laboratory at University of Strathclyde and the second with Mars Space Ltd in Southampton. These projects are part of the UK Space Agency's National Space Technology Programme (NSTP) where twenty-nine projects are receiving grant funding to develop commercial products and services using space technology or space-derived data and are part of the pace for Growth' competition lasting between 6 and 9 months." "A new technique inspired by elegant pop-up books and origami will soon allow clones of robotic insects to be mass-produced by the sheet. Devised by engineers at Harvard, the ingenious layering and folding process enables the rapid fabrication of not just microrobots, but a broad range of electromechanical devices. In prototypes, 18 layers of carbon fiber, Kapton (a plastic film), titanium, brass, ceramic, and adhesive sheets have been laminated together in a complex, laser-cut design. The structure incorporates flexible hinges that allow the three-dimensional product--just 2.4 millimeters tall--to assemble in one movement, like a pop-up book." Keith's note: Imagine if NASA could achieve packing density for its spacecraft like this - especially for landers. On Mars, for example, swarms of flying probes, covered with photovoltaic materials, armed with sensors, could fan out from a landing site to take measurements. Or a larger glider or balloon coudl release them over a larger area and have them report data back while they are within communications range. "European students are among the regional winners in the YouTube Space Lab student science competition, co-sponsored by ESA. The ultimate winners will have their experiment performed on the International Space Station, live-streamed to a global audience. Entries from Spain, Egypt, India, New Zealand and the US are among the six regional winners selected today in the YouTube Space Lab science competition. Sponsored by YouTube, Lenovo and Space Adventures together with ESA, NASA and the Japanese space agency, the international student contest is now in the final round of judging." Finding Planets in the Alpha Centauri System "With Relatively Cheap Instrumentation"
"The Alpha Centauri AB system is an attractive one for radial velocity observations to detect potential exoplanets. The high metallicity of both Alpha Centauri A and B suggest that they could have possessed circumstellar discs capable of forming planets. As the closest star system to the Sun, with well over a century of accurate astrometric measurements (and Alpha Centauri B exhibiting low chromospheric activity) high precision surveys of Alpha Centauri B's potential exoplanetary system are possible with relatively cheap instrumentation." 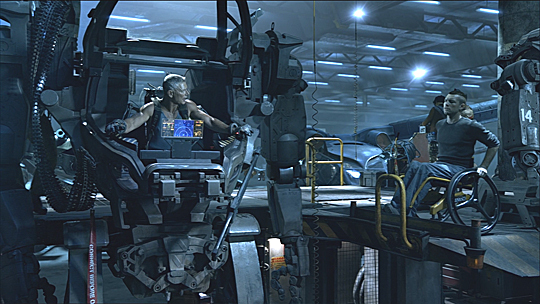 DARPA Has A Program Called "Avatar"
Keith's note: According to io9: "In [DARPA's] $2.8 billion budget for 2013, unveiled on Monday, they've allotted $7 million for a project titled "Avatar." The project's ultimate goal, not surprisingly, sounds a lot like the plot of the same-named (but much more expensive) flick. According the agency, "the Avatar program will develop interfaces and algorithms to enable a soldier to effectively partner with a semi-autonomous bi-pedal machine and allow it to act as the soldier's surrogate." These robots should be smart and agile enough to do the dirty work of war, Darpa notes. That includes the "room clearing, sentry control [and] combat casualty recovery." And all at the bidding of their human partner." Imagine if the same technology could be used such that astronauts coudl inhabit spacecraft that could also walk across a planetary surface. There are many places where the terrain could not be accessed by use of rovers. "Officials with the Conrad Foundation today announced the names of 15 high school teams from across the country and the Isle of Man that will compete in the final round of the 2011-2012 Spirit of Innovation Challenge. The annual competition, presented by Lockheed Martin Corporation and PepsiCo, challenges high school student teams around the globe to combine innovation and entrepreneurship along with STEM (science, technology, engineering and math) to create commercially-viable products to solve global and local challenges." "More than 70 teachers had an opportunity to experience what it feels like to float in space as they participated in the Reduced Gravity Education Flight Program at NASA's Johnson Space Center in Houston last week. The teachers flew aboard an aircraft that flies parabolic flight paths, which create brief periods of weightlessness. It is a key component of NASA's astronaut training protocol. The teachers were selected for the flights through NASA's Teaching from Space and Explorer School Programs. NASA Associate Administrator for Education and two-time space shuttle astronaut Leland Melvin also participated in some of the flights and shared first-hand with the participants his experiences in astronaut training." "NASA has selected 33 small satellites to fly as auxiliary payloads aboard rockets planned to launch in 2013 and 2014. The proposed CubeSats come from universities across the country, the Radio Amateur Satellite Corporation, NASA field centers and Department of Defense organizations. CubeSats are a class of research spacecraft called nanosatellites. The cube-shaped satellites are approximately four inches long, have a volume of about one quart and weigh less than three pounds. The selections are from the third round of the CubeSat Launch Initiative. After launch, the satellites will conduct technology demonstrations, educational research or science missions. The selected spacecraft are eligible for flight after final negotiations and an opportunity for flight becomes available." 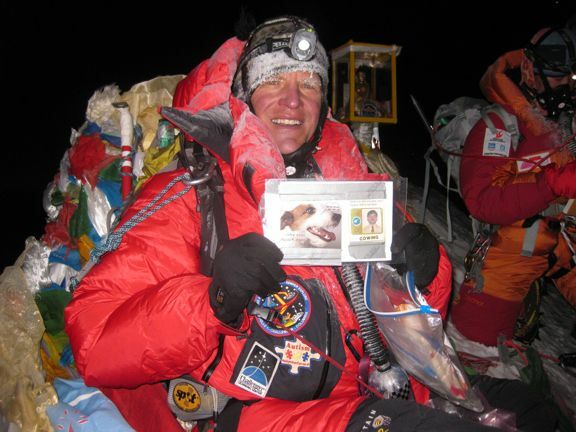 Keith's note:I sent my old NASA badge to the summit of Mt. Everest [image], so ... I totally understand. 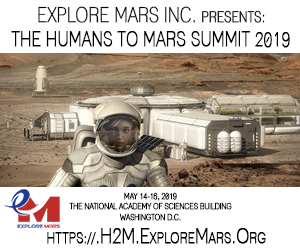 "The National Aeronautics and Space Administration (NASA) Office of Education, NASA Higher Education Office in cooperation with the Human Exploration Operations Mission Directorate (HEOMD) and the Johnson Space Center (JSC) Office of Education, invites proposals to seven (7) areas within the ISS National Lab Education Project's (ISS NLEP) portfolio." "Today's dismounted warfighter can be saddled with more than 100 pounds of gear, resulting in physical strain, fatigue and degraded performance. Reducing the load on dismounted warfighters has become a major point of emphasis for defense research and development, because the increasing weight of individual equipment has a negative impact on warfighter readiness. The Army has identified physical overburden as one of its top five science and technology challenges. To help alleviate physical weight on troops, DARPA is developing a highly mobile, semi-autonomous legged robot, the Legged Squad Support System (LS3), to integrate with a squad of Marines or Soldiers." "Nancy Conrad, founder and chairman of the Conrad Foundation, announced that having Isle of Man-based ManSat as a Corporate Partner for the 2011-2012 Spirit of Innovation Challenge has helped grow the competition beyond U.S. borders with a total of 60 teams from the Isle of Man registering this year. The Spirit of Innovation Challenge invites student teams from across America to use science, technology, engineering and math (STEM) skills to develop commercially viable products addressing real-world issues in one of the following categories - Aerospace Exploration, Clean Energy, and Health and Nutrition." 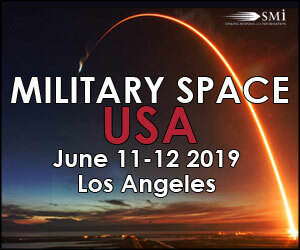 "This notice is to solicit information from the small satellite community. NASA is seeking sources to develop and deliver a low cost, 1/2U (10cmx5cmx10cm) scientific payload for multipoint space physics measurements on a NanoSat Spacecraft of 1.5U CubeSat form factor. Please see the attached "Draft" Statement of Work (SOW) for additional details regarding this future acquisition." "NASA is seeking proposals for flight demonstrations of small satellite technologies with the goal of increasing the technical capabilities and range of uses for this emerging category of spacecraft. Small satellites typically weigh less than 400 pounds (180 kg) and are generally launched as secondary payloads on rockets carrying larger spacecraft. The small satellite category includes softball-sized "CubeSats," which are standardized, small, cube-shaped spacecraft that can carry small payloads, and even smaller experimental spacecraft." "I asked NASA Watch's Keith Cowing about this, and he explained that this is just an urban legend. The schematics are all still around, mostly on microfiche, and any ancient computer files just hold images of the original plans as opposed to now unreadably obsolete data. Still, while the knowledge wasn't lost, it was certainly forgotten, and worse, it was badly organized. As Cowing - himself working on the rediscovery of old NASA documents with the Lunar Orbiter Image Recovery Project - told me, all this archival information was basically abandoned until NASA's started working on the Constellation program last decade, and now that that project has been forgotten the information is again beginning to gather dust. If there is a point of disconnect, it's more in terms of how we understand the information and the different ways in which we approach science forty-five years on"
"If anything's missing, it's actually more the explanation. I mean there is some stuff that will never be found again, but it's all there, and the stuff that isn't you can sort of figure out backwards. Sometimes you need the equivalent of a Rosetta Stone, because sometimes the way we think today is not the way they thought back then. Sometimes you need an index or a document that explains how they did things or their nomenclature. That's the one thing that's sometimes hard to find is what I call a bridge document, an answer guide to how they did the thing back in the sixties. There's no FAQ."